Whenever Apple releases their new iOS 11, it brings in new features. However, with many new features, there are some which are great and other not so. Latter is the case with the feature to include the iMessage App icons at the screen bottom. It has annoyed quite a few users as they do not like their display to have a clustered look. Good news is that you can hide app icons in iMessage for iOS 11. This feature with making the screen look clustered, it is also the reason for many messages being sent accidentally. 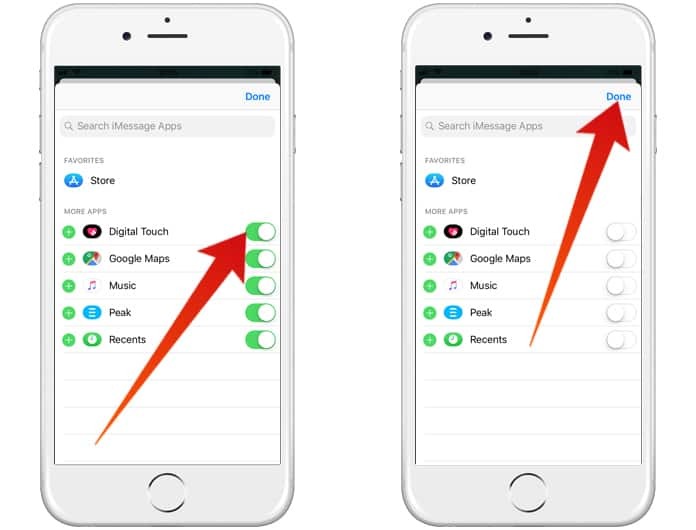 No wonder why many of the iPhone users are trying to hide app icons in iMessage. 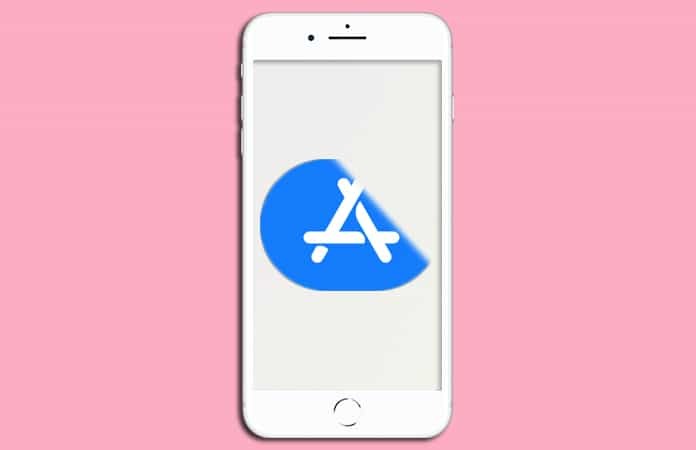 So further ado here is the guide to hide app icons in iMessage for iOS 11. 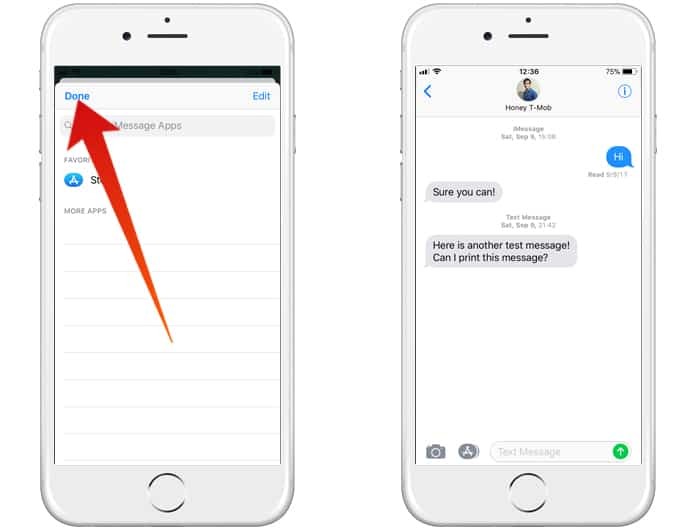 Begin with launching the Messages App on your iPhone. Then tap on a conversation. You will notice that by default, you’re seeing many of the apps under the tab, Favorites. All of these apps are overtly showing up or rather I say at the bottom of your iMessage screen. To remove the apps or the ones you don’t want is by simply tapping on the left button (red button) of the each app. And proceeding to tap on Remove from Favorites. 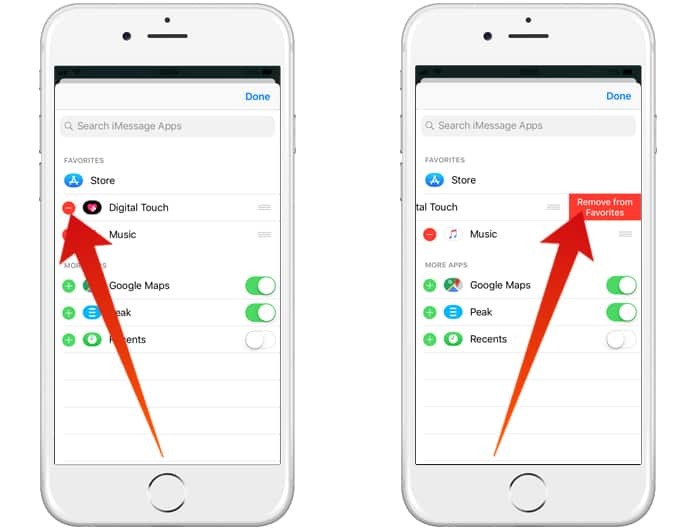 Under the More Apps, you will see other apps that you can switch off. To do so, you need to tap on the slider button at the right of each app. It will turn the slider from green to grey, meaning now they are turned off and will not be displayed on the bottom screen. Make sure to turn off the apps that you do not need, after that, just tap the Done button. Next, you also need to tap Done on the next screen again to hide app icons in iMessage. Now you’ll notice that all the other apps have been hidden. Warning: This step is not a full solution to completely get rid of the icons below and the bar. As you Apple does not let you to remove the App store icon from the bar. But on the Brightside, your bottom screen won’t be clustered and will have more of a neat look. We recommend you to keep some apps if you use them on regular basis for messaging. Let us know in the comments below does the iMessage cluster look bother you. Do you prefer the bar, which apps you have chosen on the bar as a favorite, or do you use those apps frequently when sending messages to your friends or loved ones? If you guys know another effective way to hide app icons in iMessage do let us know.